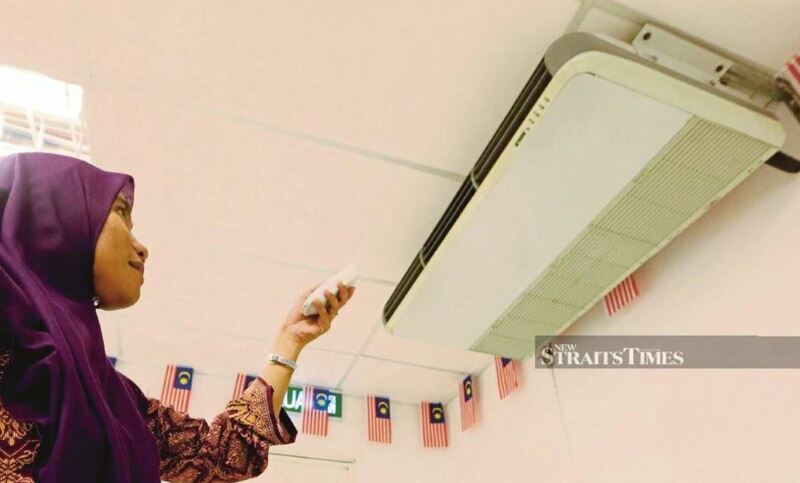 KUALA LUMPUR: Tenaga Nasional Bhd (TNB) is launching a campaign to promote Energy Efficiency (EE) with the intention to remind and educate Malaysians on the significance of environmental sustainability through power saving. The larger purpose of the campaign is to steer the transformation towards a future energy ecosystem that delivers a balance between environmental sustainability, secure and reliable energy supply and optimal economic development. This message is especially important as the country experiences some of the highest temperatures seen in the past years, in the last month. This has prompted many consumers to consume more energy through the usage of air-conditioners or fans or coolers, often leading to higher consumption. “Given the increasing demand for energy at this time, and even globally, we believe more efficient energy usage is possible with change in energy consumption behaviour, which possibly necessitates a mindset shift”, said TNB chief corporate officer Datuk Wira Roslan Ab Rahman. Disparity exists in the adoption of energy-saving behavioural patterns among Malaysians and other parts of the world. Findings indicate that Malaysians are more apathetic towards the conservation of power. Malaysian scores pale in comparison to certain Western countries like Norway, Switzerland and Sweden according to the World Economic Forum report, Fostering Effective Energy Transition 2018. The study shows that mindfulness of energy efficiency and adoption of power-conserving methods plus readiness for transition for secure, sustainable, affordable and reliable energy future is approximately 15 per cent higher in these countries, allowing those economies to make strategic energy investments committed towards environmental stewardship. Current energy consumption patterns and associated environmental pressures have ignited the Malaysian government’s concerns regarding energy conservation. Energy, Science, Technology, Environment and Climate Change Minister Yeo Bee Yin, highlighted that a regulatory framework, Energy Efficiency and Conservation Act (EECA) will be put in place to renew the National Energy Efficiency Action Plan, which is set out to achieve eight per cent energy efficiency by 2020. The ministry has committed to retrofit 50 government buildings with energy efficient LED lightings and high-EEV (Energy Efficient Value) appliances. There is an expectation that this will lead to a savings of RM 47 billion over 15 years. “We are at an interesting and important juncture of energy efficient evolution in the country. As the energy industry continues to evolve, TNB has become increasingly aware of the need to meet the global energy challenge and support the transition towards a low-carbon economy. “With TNB having the ability to play a significant role in much of the ongoing change, it takes upon itself the responsibility to balance this shift although no single government, industry or institution can address the challenges alone,” said TNB chief strategy and regulatory officer Datuk Fazlur Rahman Zainuddin. “Energy is at the heart of modern economic prosperity. EE is believed to be the first leg of a sustainable global energy ecosystem, and as most things, this too begins at home. While TNB stresses on the importance of energy efficiency to its 9.1 million customers, through the introduction of product innovations in energy technology like the smart meter, Maevi®️ and GSPARX®️ to Malaysian households, it recognises these technologies as the first big step of empowering customers towards the sustainable energy industry of the future, beyond instilling environmental consciousness into the minds of Malaysians. The company actively adopts efficient technologies and ensures that even the older plants are properly maintained and where possible, upgraded to maintain their efficiency. Six of TNB’s Distribution buildings were selected as models of energy-efficient buildings in the country. Under the Asean Energy Awards, Wisma TNB Jalan Timur was awarded First-Runner up under the Energy Management for Buildings and Industries Awards in the Large Building Category, for demonstrating excellence, creativity, practicality and dedication in the field of energy efficiency. With this initiative, TNB managed to reduce up to six per cent of energy consumption in the building.